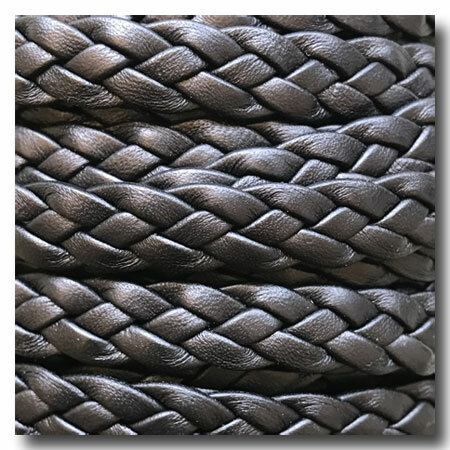 BLACK BRAIDED EUROPEAN LEATHER: European Leather is top quality dyed and not painted. Width 10mm. 3-Strand Braid.